Antivirus Software | How they Help to Remove Virus and Threats? Antivirus (AV) software enables preventing, detecting and removing malware infections from IT systems, networks, and computing devices. AV software is also capable of protecting your device from an extensive range of threats, including malicious software, such as browser hijackers, keyloggers, adware, rootkits, ransomware, botnets, spyware and Trojan horses. AV software is distributed in a wide range of forms, including stand-alone AV scanners and internet security suites offering AV protection, along with privacy controls, firewalls several other security protections. There are a few AV software vendors offering free basic versions, which generally offer basic AV and spyware protection, including more enhanced features and protections generally available only to paying customers. Several AV software vendors offer different levels of Windows products at different prices, starting with free versions offering only the basic protection requirements. Premium versions of AV software are mostly available in suites of endpoint security tools that may provide secure online storage, file encryption, and ad blockers. For instance, Comodo Antivirus for Windows 10 is a free AV download version available for both personal and commercial use. This virus protection software offers protection for Windows 10 operating system. Comodo’s Internet Security Suite is available with all other security features including AV in order to provide a secure and safe browsing experience while executing sensitive online transactions. Even though macOS viruses exist, they are less common than Windows viruses, thus AV products for macOS are considered to be less standardized than those for Windows. A number of paid and free products are available and they offer on-demand tools in order to protect against potential malware threats via full-system malware scans. These products also possess the potential to sift through specific email threads, various web activities and attachments. If you are in need of an AV software for Mac, you can choose Comodo Antivirus for Mac, which is considered to be an effective security application. Besides being the most preferred AV program, Comodo Mac Antivirus software is also considered to top the list as the best antivirus solutions for Mac OS. It wraps up some of the robust technical security features in order to perfectly meet the Mac security requirements. It is labelled as the Proactive Antivirus to deliver 360-degree protection to Mac computers. 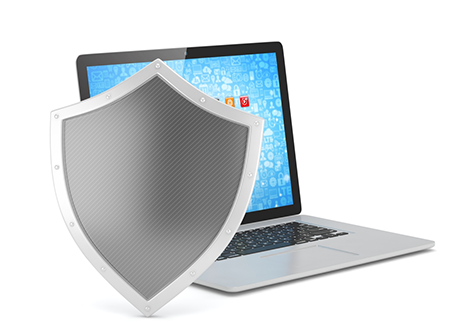 Comodo Antivirus (CAV) delivers robust protection for MAC OS X based devices to battle against viruses, worms and Trojan horses. The AV software is simple to use and easy to configure. It features on-access, on-demand, real time virus scanning, scheduled scans and more. Individual files can be checked for viruses at any time by the drag and drop scanning feature. It also ensures to move suspicious files in a quarantine to prevent malware infection. It provides automatic updates with the latest virus definitions as well. To top it all, Comodo MAC AV provides all these features for free. Android is globally considered to be the most popular mobile operating system that installed on more mobile devices than any other OS. Experts suggest that all Android device users should install AV software on their devices since Android is targeted by most of the mobile malware. Basic free and paid premium versions are available with remote-locating and anti-theft features. Some AV software programs are capable of running automatic scans and actively trying to stop the downloading or opening of malicious files and web pages. For your Android devices, an AV download option is offered by Comodo. This Free Antivirus for Android, from Comodo, defends the entry and interference of such malicious apps and files. Comodo offers an exceptional mobile security solution for Android-based mobile devices through its AV for Android product. COMODO Mobile Security (CMS) is exclusively designed for protecting your Android devices against unsafe apps, viruses, potentially risky settings and even from theft. The AV for Android solution from Comodo is considered to be an extraordinary Mobile AV that has the potential to protect your privacy and help your system be optimized. Comodo’s Free Android Antivirus helps in protecting the personal information of the user like videos, photos, personal contacts and much more. Comodo's Mobile Antivirus offers a major rate of detection of malicious mobile threats. CMS prevents the attack of ransomware, restricts unauthorized calls, and obstructs banking Trojans from stealing or accessing your Android device data.